#1. Imagine the trailer. Is the concept marketable? #2. Is the premise naturally intriguing — or just average, demanding perfect execution? #3. Who is the target audience? Would your parents go see it? #4. 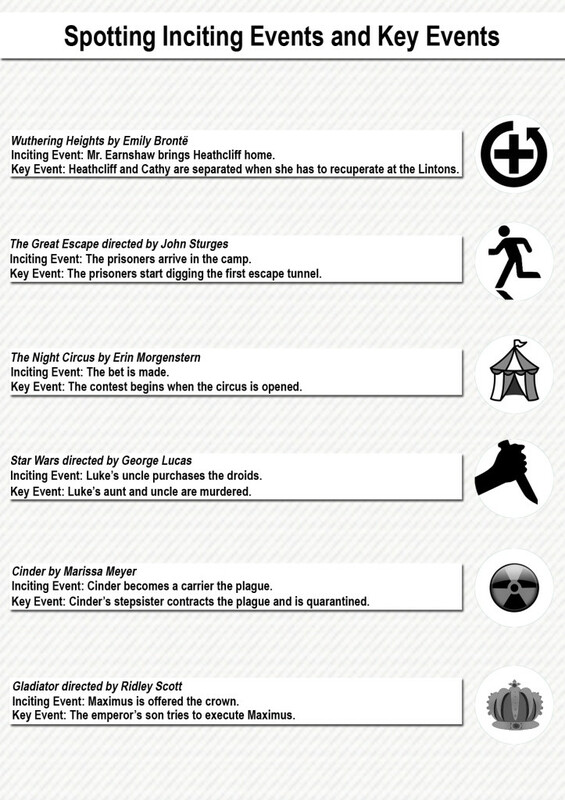 Does your story deal with the most important events in the lives of your characters? #5. If you’re writing about a fantasy-come-true, turn it quickly into a nightmare-that-won’t-end. #6. Does the screenplay create questions: will he find out the truth? Did she do it? Will they fall in love? Has a strong ‘need to know’ hook been built into the story? #7. Is the concept original? #8. Is there a goal? Is there pacing? Does it build? #9. Begin with a punch, end with a flurry. #10. Is it funny, scary, or thrilling? All three? #11. What does the story have that the audience can’t get from real life? #12. What’s at stake? Life and death situations are the most dramatic. Does the concept create the potential for the characters lives to be changed? #13. What are the obstacles? Is there a sufficient challenge for our heroes? #14. What is the screenplay trying to say, and is it worth trying to say it? #15. Does the story transport the audience? #16. Is the screenplay predictable? There should be surprises and reversals within the major plot, and also within individual scenes. #17. Once the parameters of the film’s reality are established, they must not be violated. Limitations call for interesting solutions. #19. Is it believable? Realistic? #20. Is there a strong emotion — heart — at the center of the story? Avoid mean-spirited storylines. #21. Is it properly formatted? #22. Proper spelling and punctuation. Sentence fragments okay. #23. Is there a discernible three-act structure? #24. Are all scenes needed? No scenes off the spine, they will die on screen. #25. Screenplay descriptions should direct the reader’s mind’s eye, not the director’s camera. #26. Begin the screenplay as far into the story as possible. #27. 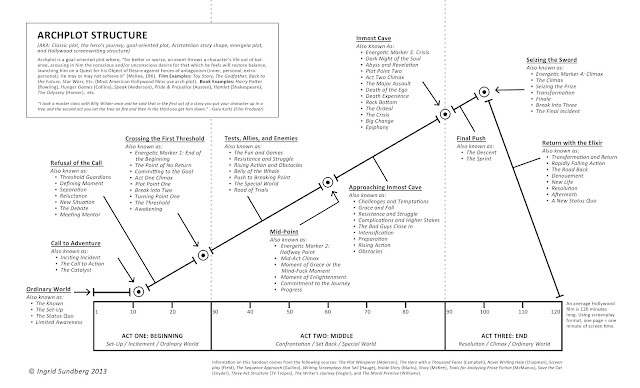 Begin a scene as late as possible, end it as early as possible. A screenplay is like a piece of string that you can cut up and tie together — the trick is to tell the entire story using as little string as possible. #28. In other words: Use cuts. #29. Visual, Aural, Verbal — in that order. The expression of someone who has just been shot is best; the sound of the bullet slamming into him is second best; the person saying, “I’ve been shot” is only third best. #30. What is the hook, the inciting incident? You’ve got ten pages (or ten minutes) to grab an audience. #31. Allude to the essential points two or even three times. Or hit the key point very hard. Don’t be obtuse. #32. Repetition of locale. It helps to establish the atmosphere of film, and allows audience to ‘get comfortable.’ Saves money during production. #33. Repetition and echoes can be used to tag secondary characters. Dangerous technique to use with leads. #34. Not all scenes have to run five pages of dialogue and/or action. In a good screenplay, there are lots of two-inch scenes. Sequences build pace. #35. Small details add reality. Has the subject matter been thoroughly researched? #36. Every single line must either advance the plot, get a laugh, reveal a character trait, or do a combination of two — or in the best case, all three — at once. #37. No false plot points; no backtracking. It’s dangerous to mislead an audience; they will feel cheated if important actions are taken based on information that has not been provided, or turns out to be false. #38. Silent solution; tell your story with pictures. #40. Don’t number the scenes of a selling script. MOREs and CONTINUEDs are optional. #41. Are the parts castable? Does the film have roles that stars will want to play? #42. Action and humor should emanate from the characters, and not just thrown in for the sake of a laugh. Comedy which violates the integrity of the characters or oversteps the reality-world of the film may get a laugh, but it will ultimately unravel the picture. Don’t break the fourth wall, no matter how tempting. #43. Audiences want to see characters who care deeply about something — especially other characters. #44. Is there one scene where the emotional conflict of the main character comes to a crisis point? #45. A character’s entrance should be indicative of the character’s traits. First impression of a character is most important. #46. Lead characters must be sympathetic — people we care about and want to root for. #47. What are the characters wants and needs? What is the lead character’s dramatic need? Needs should be strong, definite — and clearly communicated to the audience. #48. What does the audience want for the characters? It’s all right to be either for or against a particular character — the only unacceptable emotion is indifference. #49. Concerning characters and action: a person is what he does, not necessarily what he says. #50. On character faults: characters should be ‘this but also that;’ complex. Characters with doubts and faults are more believable, and more interesting. Heroes who have done wrong and villains with noble motives are better than characters who are straight black and white. #51. Characters can be understood in terms of, ‘what is their greatest fear?’ Gittes, in CHINATOWN was afraid of being played for the fool. In SPLASH the Tom Hanks character was afraid he could never fall in love. In BODY HEAT Racine was afraid he’d never make his big score. #52. Character traits should be independent of the character’s role. A banker who fiddles with his gold watch is memorable, but cliche; a banker who breeds dogs is a somehow more acceptable detail. #53. Character conflicts should be both internal and external. Characters should struggle with themselves, and with others. #54. Character ‘points of view’ need to be distinctive within an individual screenplay. Characters should not all think the same. Each character needs to have a definite point of view in order to act, and not just react. #55. Distinguish characters by their speech patterns: word choice, sentence patterns; revealed background, level of intelligence. #57. Run each character through as many emotions as possible — love, hate, laugh, cry, revenge. #58. Characters must change. What is the character’s arc? #59. The reality of the screenplay world is defined by what the reader knows of it, and the reader gains that knowledge from the characters. Unrealistic character actions imply an unrealistic world; fully-designed characters convey the sense of a realistic world. #60. Is the lead involved with the story throughout? Does he control the outcome of the story?